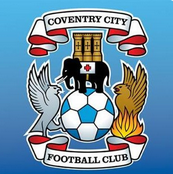 Discussion in 'Coventry City General Chat' started by Nick, Jan 13, 2016. There's no way that the way we are playing, the strength of our bench, and the signings we're making, that we won't make the top two and gain automatic promotion. So I don't see Saturday's game against Burton as a must win game. That said, I think we will winand could be top of the table Sat night depending on other results. Exciting times!! Nope. Don't see it as must win either, but I think we will. We should have won last night. Think the Stokes issue will be massive though. If he's out we could really suffer. Maybe TM has another CB lined up anyway mind. Can see the first two happening for sure. Both Murphy and JOB looked knackered 2nd half. Definite options from the bench. Although Burton have 2 games in hand they have 4 games in 2 weeks. I doubt they have the biggest squad so even a draw against them I can't see them pulling away. We played well last night but needed that elusive second goal,but Walsall are solid at the back so it wasn't meant to be on the night.I really fancy us to beat Burton on Saturday,even though they are another team with a good defence. 2-I to the Sky Blues. any news on Martin's injury? Venus said out for 6 weeks on cwr before the game. I think it is a must win personally. With Burtons two games in hand and Walsall also having one, we need to get on a winning run. Gillingham away at Doncaster this weekend, Walsall away at Bury. I thought it was a decent point at the time, but many were moaning about it and said we should have won. Think Donny may well win and Bury are more than capable of getting something off Walsall too. Burtons last 2 away games were at gillingham and Wigan. Won them both. But lost at fleetwood 4-0! Crazy league! Yep. Burton lost 4-0 at Fleetwood and 3-0 at home to Peterborough. Walsall lost 3-0 at home to Rochdale. Gillingham lost 3-0 at home to Burton and 4-1 against us. Our defeats have all only been by 1 goal. Shows just how consistent we have been. Out of the two games this is the one I was most confident about. Sounds stupid but although they are still up there I can't help thinking they are over achieving and will eventually fall away like Bury and Rochdale did. If we can play like we did in the first half last night then I think we'll win quite comfortably. I always predict a loss because since doing that we have lost once in over 2 months , not that my prediction will alter anything anyway . Great first half and 2-0 up. Start to sit back second half. Burton get a goal midway through the second half. Squeaky bum time but we hold on to win. And in other games Walsall, Wigan, Peterborough and Gillingham lose. They will sit back and try and hit us on the Break, they have the league record for scoring goals 90+ minutes. We have to resist gung ho on this one. as long as we dont lose it then the result is ok. weve got so called lesser teams in february and could give a string of back to back wins. I always say the Team with the momentum in Mid april will get up in the Automatic places. wanna be 5 pts clear of 3rd by march 1st! I'm going for a 2-1 win on this one. Armstrong will definitely score. I'd like to think we will slaughter them but I'm thinking we will end up hanging on for the win. We tend not to do well against 'lesser' teams. Toward the end of the season they will all be fighting hard to stay up. All of the above also applies to our rivals. It would have been a massive help for us to have beaten Walsall and to beat Burton. Just been looking at the fixtures and Burton have to play 8 games in March. Thats a test for any squad. We should have beaten Walsall. A couple of great chances to extend our lead.